When using Path>Inset the inset is a big too big? Can I change its size? And I know about dynamic offset but when I try to do it to multiple objects (which I need in this case) Inkscape just switches to Edit path by nodes and doesn't show the handle to control the inset. However if I try to do it with each object individually I can't find any numerical control to make sure the offset is the same for all objects. 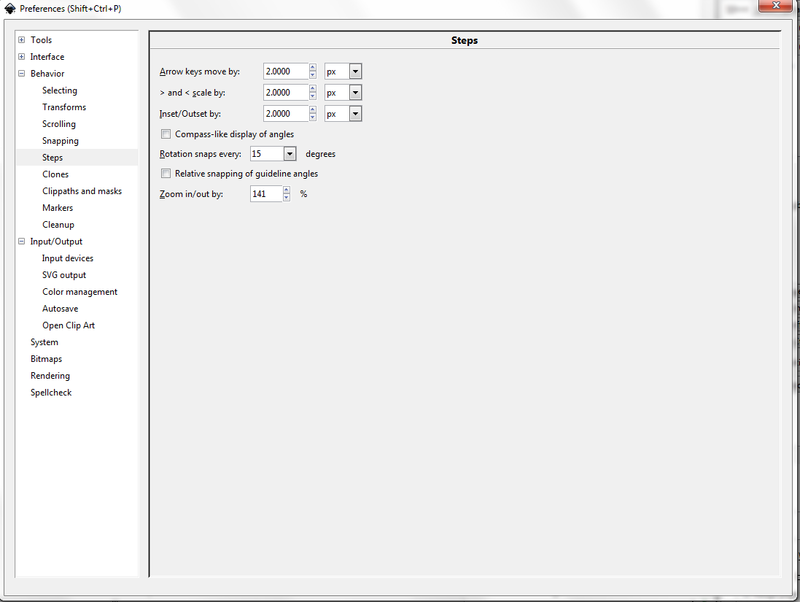 So I guess my question would be how to set identical inset size for multiple objects? One word is worth one one-thousandth of a picture. Third parameter in the right side menu appears to give the flexibility you require. Yes. 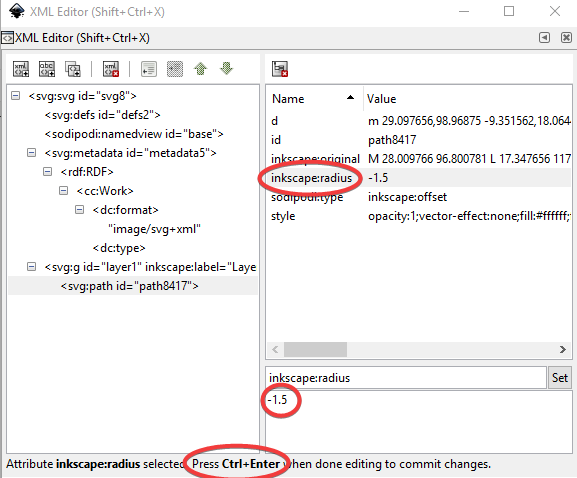 If you use a Dynamic Offset, you can enter the exact amount of offset in the XML editor. Select the object which you already applied the Dynamic Offset to. In the box underneath, type the value you want, and Press CTRL+Enter to commit the change. Note: negative values are inset, positve values are outset.